Rugged and easy-to-use pedal board. Protec's Small Stonewood pedal board is a no-nonsense design pedal board featuring a beautiful black rugged textured vinyl exterior, strong wood frame, heavy-duty metal latches and corners, stitched lining, back and bottom-side feet, and a thickly padded handle. Pedals are secured by hook and loop pedal tape (6' included). Removable lid with soft interior padding to secure and protect pedals. 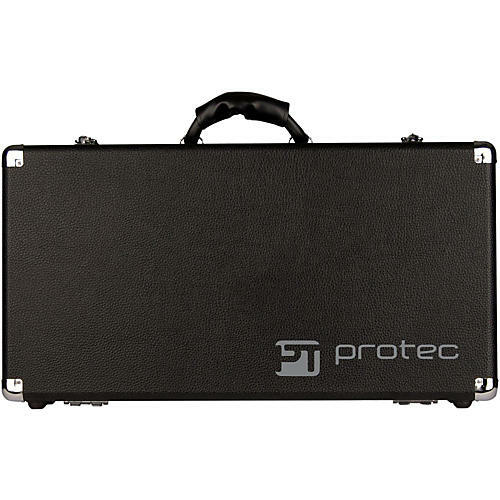 Order this great Protec pedal board today!